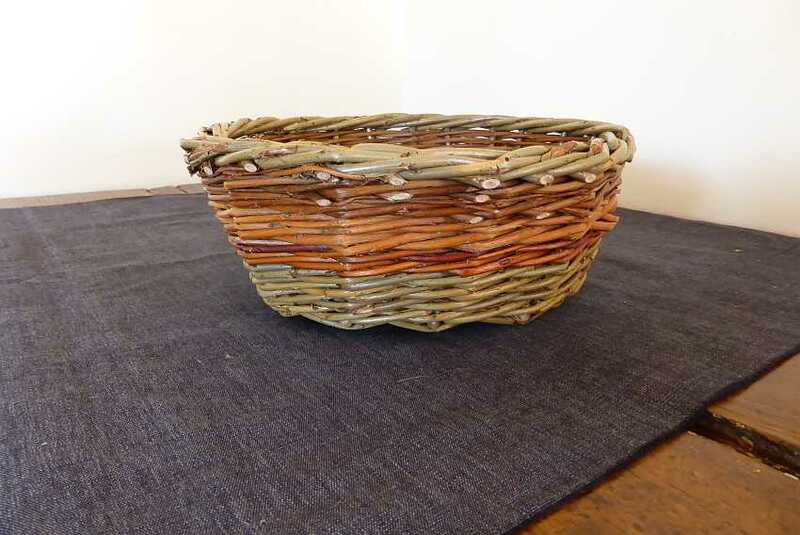 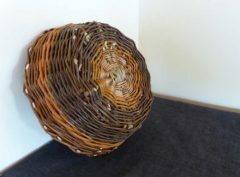 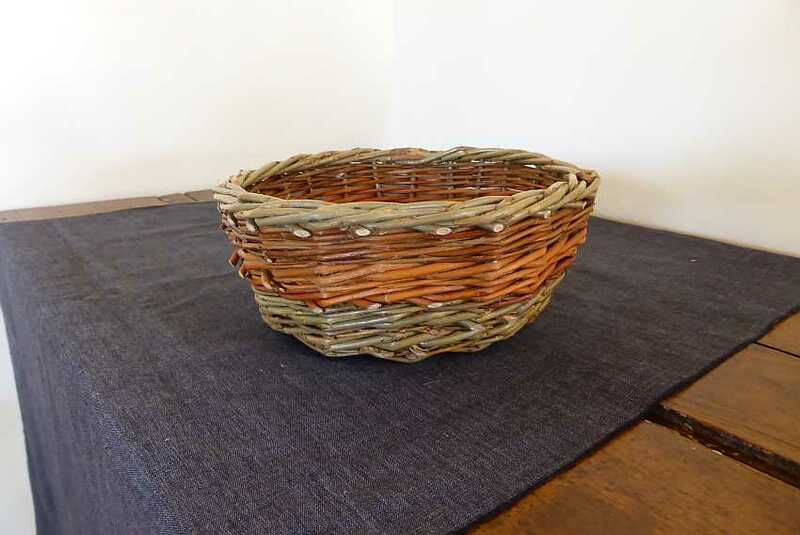 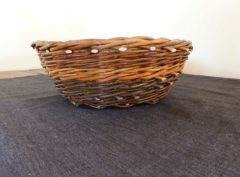 A small rustic basket in mixed willow. 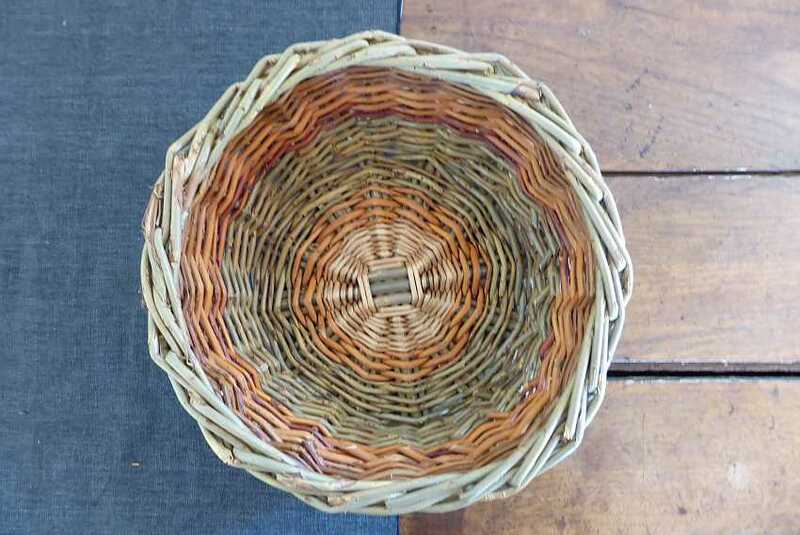 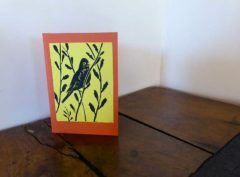 Hand made by Zoe using techniques learnt at the French National Basketry School at Fayl-Billot! 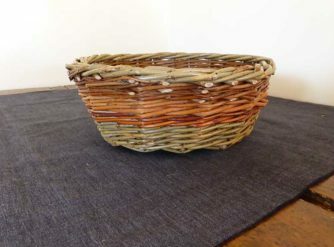 Five different willows used in this unique basket which is predominantly shades of green and orange. 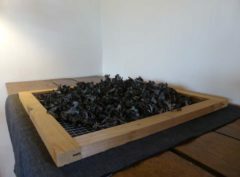 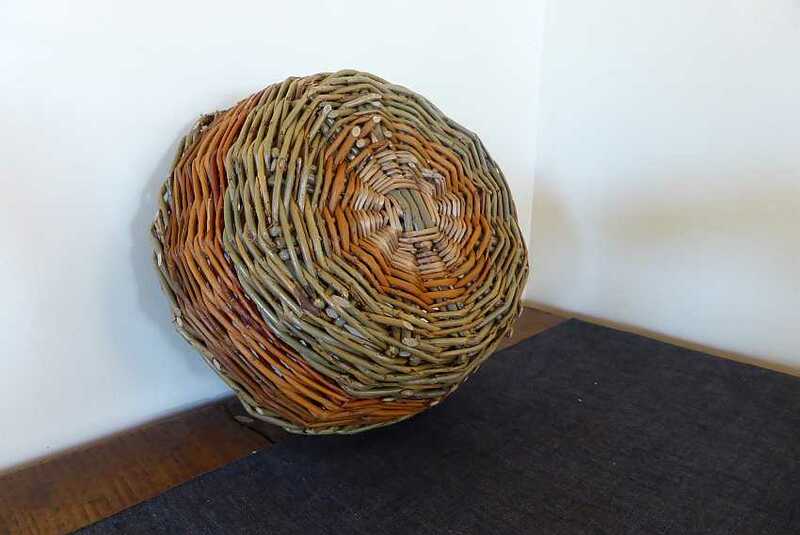 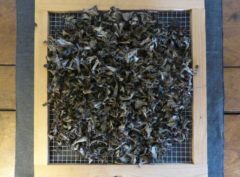 The basket measures 19cm at the base and is 9cm high measuring 25cm across at the top. 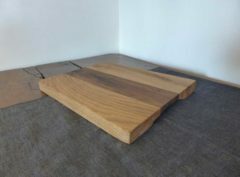 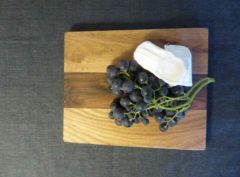 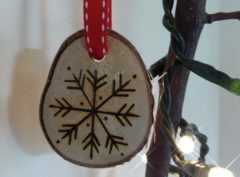 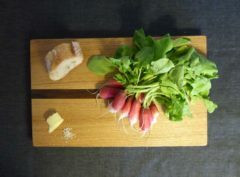 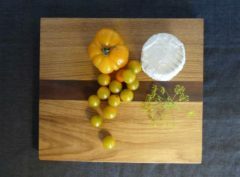 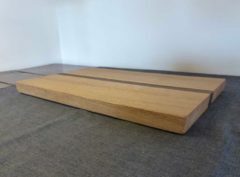 An attractive chopping board in an interesting shape made from oak and walnut. 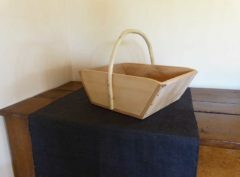 New, handmade trug in local hardwoods with a bent hazel handle and the ‘la maison’ brand mark. 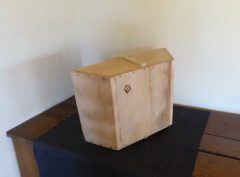 Measuring 27x28cm at the base, 14.5cm high with the top measuring 42x28cm. 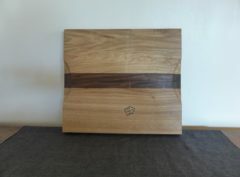 The handle is 30 cm above the base at its highest.